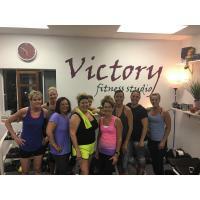 Victory Fitness Studio will impress you because I will look at your lifestyle, exercise regimen and eating habits to help you see where you might benefit from changes. I will help you adjust your goals to be more realistic given your individual situation. 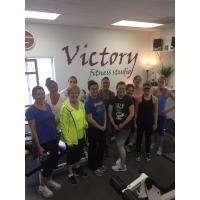 If you are bored with the same old workouts, even if you are an experienced exerciser, I will bring fresh,new ideas to challenge both your mind and body. I will help motivate you to push past those self-imposed limits, encourage you to lift heavier, go longer, and challenge yourself more than you would do on your own. You will find it hard to slack off when I am standing next to you, telling you to do just...one...more...rep! 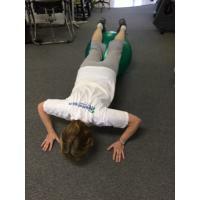 If you have a specific illness, injury, or condition, or your doctor recommends exercise for specific issues like arthritis, old injuries, debilitating ailments, etc., I will work with you to help build your strength and improve your lifestyle. If you are training for a sport or event, if you are planning to run a marathon, participate in a golf tournament, or any other type of event, I will work with you to map out a plan which will help you excel in that activity, perhaps even claim VICTORY at the end of the day! 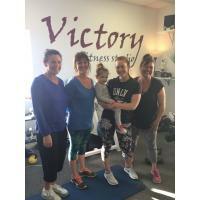 Here at Victory Fitness Studio you will find a fully equipped workout facility where you will have access to all the equipment you could ever need, without the social pressure associated with a membership gym. If you are looking for exercise efficiency, I will help you focus on results so you stop wasting your time doing inefficient workouts. 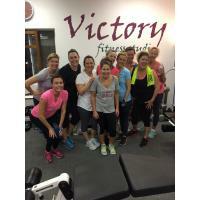 Together we will develop a plan which will get you maximum results in minimum time. So you say you want to lose weight? 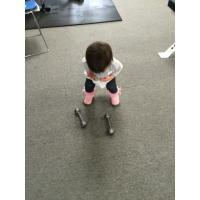 The number one reason people hire a personal trainer is to lose weight and get into shape. Why? Because IT WORKS! 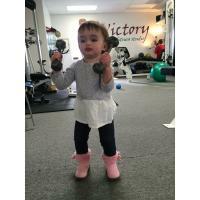 I will help you with your resolution to lose the fat and build the muscle. I'm not just a trainer... I am a coach! We are on the same team! Your team! 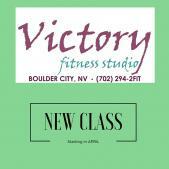 If you want to have some fun while attaining your health goals, Victory Fitness Studio is the place to be. Lets face it, working out with someone who is cheering you on is so much more fun than working out alone! Taking care of your health and hiring me as your coach is one of the best things you'll do in life! My mission is to play a crucial role in improving health and happiness through relationships, physical activity, career and spirituality. 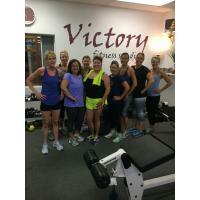 I offer circuit training classes, personal training sessions, nutrition classes, nutrition seminars, health coaching, pantry cleaning. I think organic is the best way to go. 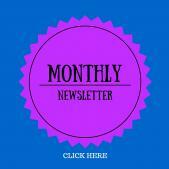 I can help you learn how to shop for the healthiest foods without going broke. Physical activity is critical for weight loss and maintenance. Many people think that weight loss is a result ONLY of reducing what goes in your mouth. But evidence shows the only way to keep the weight off is with regular physical activity AND watching what you eat. That said, what you eat does not need to be "reduced". You just need to eat the right things. Drink water. WATER-not soda. Hunger is often confused with dehydration. Eat carbs: real carbs! Replace refined carbs like white bread, pasta,bagels, cereal, and pretzels with complex carbs like fruits, veggies, whole grains,nuts, seeds and legumes. Fruits and veggies are high in fiber, which slows digestion and promotes stable blood sugar levels.Complex carbs are also packed with antioxidants that help reduce inflammation in the body. Think about eating foods in their most natural forms. For example, breads are made from wheat that's milled, while brown rice is simply taken from the plant-complete with fiber and phytonutrients-the way Mother Nature intended they be eaten! Choose healthy fats such as nuts, seeds, fish, avocados, and extra virgin olive oil. Choose lean protein. Many foods include protein, but the richest sources include animal products, dairy, eggs and fish as well as plant sources like beans, nuts, and seeds. Eat breakfast. You'll give your metabolism a jumpstart. 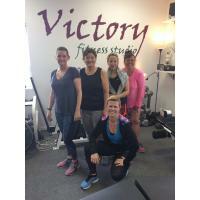 Exercise! Just move that body!